Would you like a VIP Commissions? Would you like Lifetime Banners? Plus Claim over $350 in Free Traffic! Redeem Promo Codes Hidden Within the Site! Welcome to INSTANTCASHENGINE! This is an excellent opportunity site. However, it is NOT a Pyramid or ponzi Scheme, MLM or a get-rich-quick program. Furthermore, it is NOT a matrix programs, or a multi-level marketing program. Finally, we don't require you to have a website or sell any product to use our service. We do not require you to refer anyone to our site to use our service. You won't get rich by using our internet advertising program. I Hope That You Find This One Of A Kind....Powerhouse Advertising Site, Useful In Your Every Day Marketing! INSTANTCASHENGINE is a source of Commissions earnings, a List Building Site, a Text Ad Exchange, A Traffic Exchange, A Safelist, And Quite a Lot More! You can earn fantastic commissions at INSTANTCASHENGINE? Let me explain. 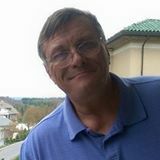 Let me explain how you can get the VIP commissions so you understand how unique and powerful this feature is and how it benefits you like nothing you have ever seen. for all the members in your downline after first level. We call it VIP commissions! This is for unlimited levels down, no matter how far in your downline a commission that normally would go to admin will go to you. A. INSTANTCASHENGINE Will Allow You To Earn VIP Commissions ! A. Yes...But.... There Is None Like INSTANTCASHENGINE Where You Can Have A Multitude Of Advertising Options At Your Fingertips! A. At INSTANTCASHENGINE, The Commission Earnings�Are Alternated Between The Site, And Members! So In Essence, You Get A Whole Payment According To Your Membership Levels. Platinum Members Get 3 Out Of Every 4 Payments Made For Upgrades and Purchases! And of course Founder's members get the VIP commissions as noted above. Q. How do I Pay for Purchases? A. At�InstantCashEngine, you can trade credits for ads, purchase ads with your commissions,� Debit/Credit Cards through Stripe or Coinpayments, Pay with BitCoin and Crypto currency or Paypal Passthrough with Coinpayments, Direct Payments with SolidTrustPay, Zelle, Google Pay, and member to member payments with ORU Marketplace.� We�do not accept direct payments using Paypal or Payza. A. At�InstantCashEngine, you can trade your commissions for ads, or accept Direct Payments with SolidTrustPay, Zelle, Google Pay, and member to member payments with ORU Marketplace.� We�do not make payments using Paypal or Payza.� There is a minimum payment threshold of $35.00 USD.� Commissions will be paid on the 15th of the month following your payout request so if your request for payout is received on the 30th, your payment will be processed on the 15th of the following month. 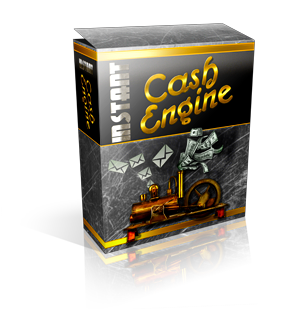 A. INSTANTCASHENGINE�Is A Site With Lots Of Never Before Seen Advertising Options On A List Builder Site! We have Compiled The Latest And Greatest Elements Of Text Ad Exchanges, Safelists, Traffic Exchanges And Combined These Features All Into One House! Q. Will I receive emails from site members or other emails? A. Yes - you will receive Network and Solo emails. Admin email about 2-3 times per week tops. A. At INSTANTCASHENGINEYou Can Earn Points For ViewingText Ads, Banner Ads, Login Ads, Premium Ads, Block Ads, Ads Plus Ads, Featured Ads Plus Ads, Header Ads, Headline Ads, Fullpage Ads, Monthly Ads, and more! Q. What Else Does INSTANTCASHENGINE Offer? A. INSTANTCASHENGINE�Also Has The Viral Ads Feature, Where You Earn Commissions On Your Referrals By Using Our Viral Ads System, Where You Advertise Your Other Affiliate Links And Opportunities, At The Same Time As Advertising InstantCashEngine. You Can See An Example Of Our Viral Ads System By Looking At The Bar Across The Bottom Of This Window. There Is More To Be Discovered At INSTANTCASHENGINE, Take Your Time, And Explore The Site, And All The Advertising Options At Your Disposal! Thanks For Your Interest In INSTANTCASHENGINE!